Ely	makes	his	subjects	come	alive — vivid	and	likeable. In 2000, there were 86,000,000 single American adults, more than ever before. 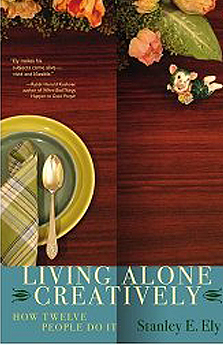 In 2003, 37 percent of American households consisted of one person living alone. Living Alone Creatively approaches these surprising statistics in a new way. Other books deal with being single but do not introduce people who live that lifestyle and make it successful. This book does. A popular read for anyone wanting a better single lifestyle.